This ACE Store is located on Van Buren Blvrd, near the corner of Arlington Ave, next to Starbucks. Bus #21 of the Riverside Transit Authority stops at Van Buren Blvd FS Arlington right in between Starbucks and the location. Check RTA’s website for times and destination routes. Cardenas Market sits just behind this ACE location, while Kmart is just across the street. Area 51 Craft Brewery, Rueben’s Tacos, and Carl’s Jr. are all in the vicinity as well. There’s always a place where one can find affordable and quick funds. One of those options is getting a car title loan powered by LoanMart. Arlanza residents could qualify for up to $30,0001 in funding in as little as one business day3. An auto title loan powered by LoanMart uses the title of a qualified vehicle to secure funding. The process is less complicated than traditional loans3, and the qualification criteria is more relaxed. Title loans powered by LoanMart look at credit history, as well as income, a vehicle’s equity, and the vehicle’s mileage1. An auto title loan powered by LoanMart can be applied for free of charge. Not to mention that there is not a single obligation to continue with the auto title loan powered by LoanMart once an Arlanza resident is qualified. That’s because Arlanza residents should be able to make an educated decision on whether they want that option for funding or not! Begin the steps to getting an auto title loan powered by LoanMart in Arlanza today! Call or click to begin an auto title loan powered by LoanMart in Arlanza right away. Click the “Chat Now” or call LoanMart’s toll free number. Once approved, a representative will talk to you about your options and how to get your funding. 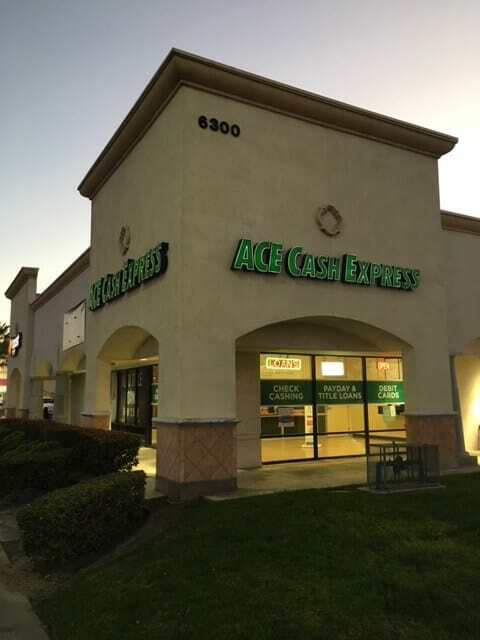 Residents could also speak with a rep via the Arlanza ACE Cash Express location as well!